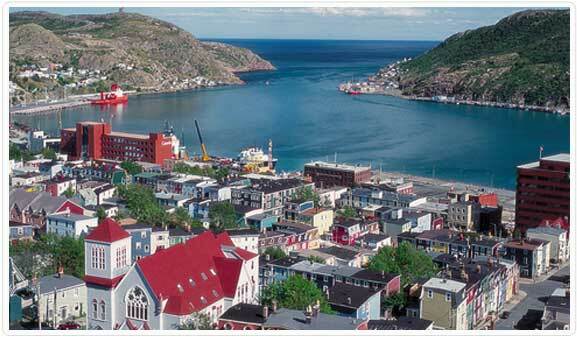 Try Newfoundland Mortgage Brokers in St. John's Newfoundland for your next Mortgage! Newfoundland Mortgage Brokers based in St. John’s Newfoundland are accredited professionals who are here to guide you through every step of your home buying experience. Buying a home is the largest purchase most people make during their lifetime. Whether you’re a first time home buyer, investor, renovating or simply up for renewal on your current mortgage it is imperative that you get professional unbiased advice so you can make a well educated decision. We are trained professionals licensed to represent and provide you with the best advice for your mortgage needs. The consultation is always free and can result in thousands of dollars in savings. In our busy lives many do not have the time to shop for rates and find the best deal. Mortgage brokers Newfoundland save you time and money by doing the leg work for you. The broker works on your behave and not the banks. We will ensure you have a smooth and enjoyable mortgage experience. Why should you use Mortgage Broker? Banks offer a limited selection of their products and have no reduce rates. Newfoundland mortgage brokers are not assigned to any one lender thus are able to search and negotiate the best possible deal. This is what they specialize in! As a result, clients benefit from the trust and security of knowing they are getting the best mortgage for their needs. Preferred Rates – compare all lenders rates for you. Fast processing – 48-hour update. Choice – of banks and lenders. Unbiased advice – from an educated professional. Easy – have a specialist do the work for you. Rate guarantee – for 120 days. At the end of the day the main goal is to put money back into your pocket. We promise to give you the personal service that you well deserve. Relationships and trust is what we believe in and we stand by that at all times! Buying a new home is a big decision and we are here to guide you through the entire mortgage process. A good broker will take the time to understand your needs and use their knowledge to assist you in making the right mortgage choice. Allow a qualified Newfoundland Mortgage Broker help you save thousands of dollars and years off your mortgage. Newfoundland Mortgage Brokers based in St. John’s Newfoundland are accredited professionals who are here to guide you through every step of your home buying experience. Copyright © 2018 Nlmortgagebrokers.ca. All Rights Reserved.